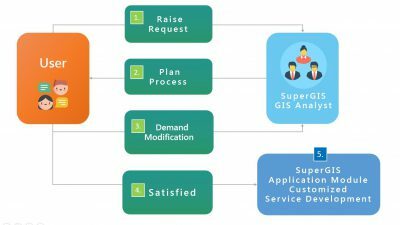 SuperSurv has always played a crucial role in field data collecting with advantages such as handy operation and highly precise three dimension data. Besides, with more and more user-friendly functions, users can reduce both time and human cost during field survey on a large scale. 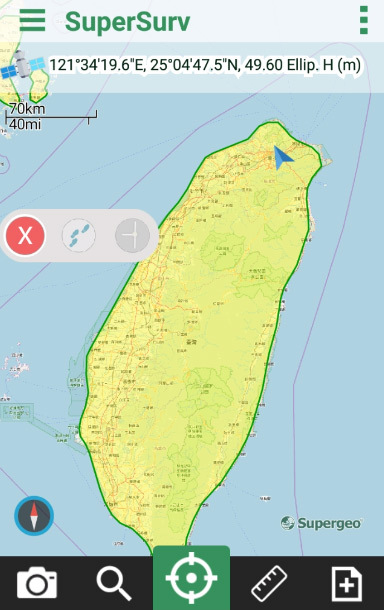 With the rapid developments of geographic information industry in the worldwide, Supergeo is committed to providing our clients with the updated version of products, in order to make sure all of our users have access to latest technology and catch up the trend. 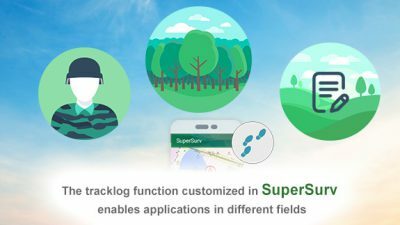 Last year, Supergeo received several recommendations of SuperSurv 10.1 about expanding practical functions such as augmented reality, rapid survey and precise survey. Therefore, Supergeo will engage in developing SuperSurv 10.2 and launching various new products to our clients in 2019. On last Friday (3/15), the beta version of SuperSurv 10.2 has been launched. One obvious difference between the two versions is the improvement of UI. The main menu has been put in the central bottom of interface which is more accessible for both right-hand and left-hand users. In addition, users can find the function they need immediately with the sidebar design. In terms of positioning service, QZSS(Quasi-Zenith Satellite System) joins as one of the support systems in SuperSurv 10.2 which brings outdoor positioning into a further level. 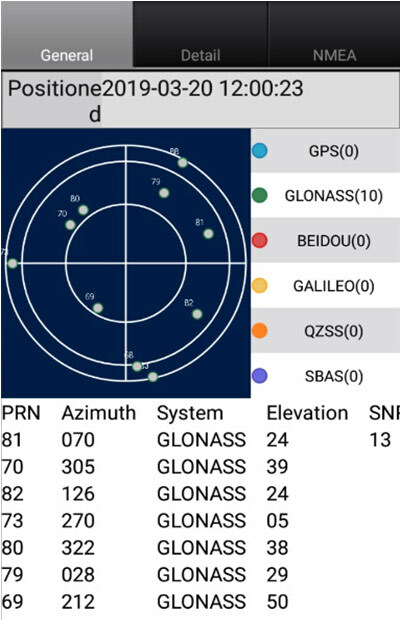 The UI of GNSS(Global Navigation Satellite System) has been adjusted to a more clear way as well. With these adjustments, users are able to check the satellites they are receiving currently with no effort. 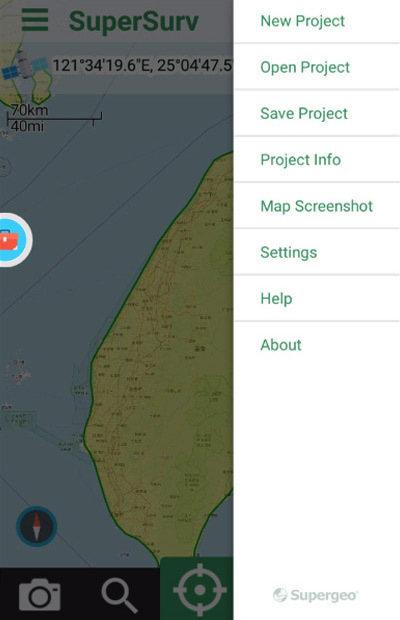 Supergeo will keep refining the function design, UI and GIS technology of SuperSurv 10.2 with the aim to offer a better experience to our users. 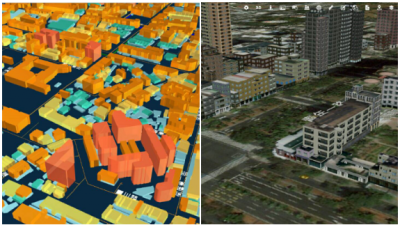 SuperSurv 10.2 is right now equipped with the ability of loading image map brick and data under the format of mbtiles. We invite you sincerely to experience the whole new SuperSurv 10.2. Always feel free to contact us if you have any recommendations or questions! Get the trial version of SuperSurv10.2! Want to know more about SuperSurv10.2? 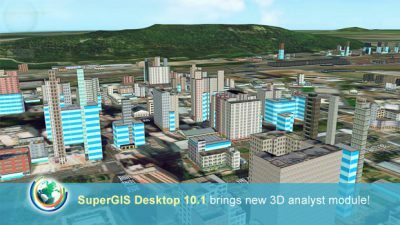 The Latest Version of SuperGIS Server Will Make Its Debut in Q4!